We probably all like to be asked how our day went. It gives the message ‘someone cares’. No doubt there will be many wonderful ideas on how we can care better for our children in all those submissions on the Green Paper for Vulnerable Children. They are due as we write. While we have been scratching our collective heads on trying to make things better for our children in vulnerable situations, government has put together and released its intended next steps in caring for a wider group of people – those of us depending on welfare assistance. If you are on an (a) an unemployment benefit, (b) a sickness benefit or (c) a DPB or Widows benefit(with a child over 14), or a Woman Alone Benefit then you won’t be any more. You’ll be on a Jobseeker Support Benefit instead. You need to be looking for work, unless you are too sick. If you are too sick, then you will get a temporary exemption until you are able to work in some capacity. What capacity, will be based on comprehensive work capacity assessments. Health professionals will provide Work and Income with information for their exemption decision-making. If you are on the DPB / Widows benefit and have children aged up to 13, your benefit will change into a Sole Parent Support benefit from this October. If you child/ren are between 5 and 13, you are expected to be looking for part time work. If you have a child under 5, you will need to be getting ready for work e.g. undertaking up-skilling programmes. Things get a bit tricky if you are on a benefit and have another child. Essentially, you have to be heading for work after your new baby turns one. If your other children are aged 5-13, then you will be looking for part time work. If your other children are 14 or over, then you will be looking for full time work. People receiving the Invalids Benefit will now receive the Supported Living Payment. There is no work expectation, but the only recipients are people permanently and severely disabled, severely mentally ill, or terminally ill. A health and disability panel will advise government on assessments and services for people who are ill or have disabilities. If you are aged 16-17 and receiving a benefit, you will be getting the Youth Payment or Young Parent Payment from this July. This means you will need to be working with providers around your education, training, and financial support. Essential costs e.g. board/rent/electricity etc. will be paid directly; money for living costs will be loaded onto a card and the remainder (not sure how much this is) becomes an ‘in hand’ allowance. You can get an extra $10 per week if you complete six months of education or training or by doing a budgeting course. You can get another $10 if you complete a parenting course. More money will be going into childcare, including a ‘guaranteed childcare payment’ for teen parents. There will also be increased access to health services and drug and alcohol rehabilitation. Labour on sole parent households: “We need to ask three crucial questions: Do these parents have the training and education they need to move into work? Are they able to set up care arrangements for their children? And most importantly, are the jobs there? " Winston Peters: “… nothing to improve the economy or create jobs” “The Prime Minister’s statement that people must be ‘work available’ is nonsense in a country where hundreds of job losses are announced every week." 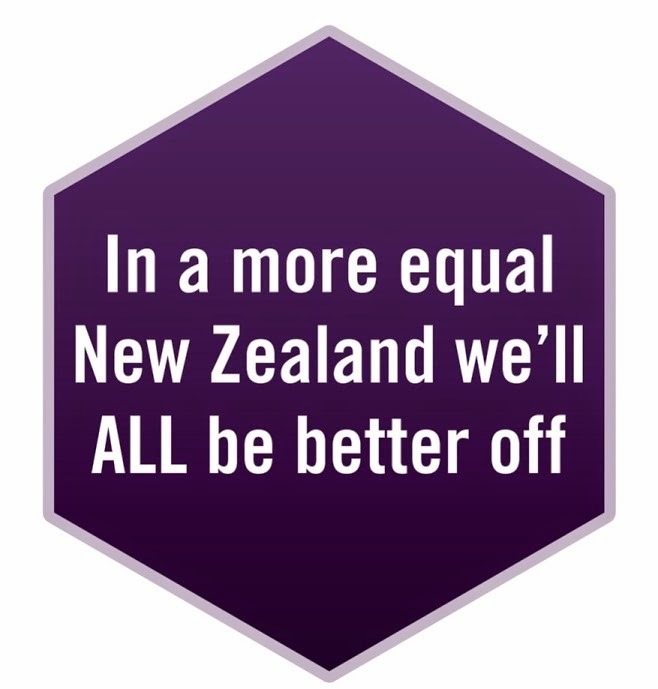 Gordon Campbell: "It doesn’t take a rocket scientist to see that we are forcing people off welfare at exactly the wrong point in the economic cycle – before the jobs have re-appeared, assuming they ever will. In the meantime, making people leave their children at home alone, while they chase after non-existent jobs is a recipe for misery, and for further social problems down the track." Auckland Action Against Poverty: “If this mindless and cruel programme is implemented we could easily end up in a situation where sole parents with babies, the sick, the injured and the disabled end up being harassed by Work & Income into jobs, while other people lose theirs in a zero sum game from which no one benefits." Nothing for Māori and Pasifika – Mana Party: “Maori and Pacific Island people make-up one in four of those …unemployed and …over 50% of those who access the DPB. Today I heard not one thing about what the Government plans to do for Maori and Pacific Island people." What, you want a house? Right, you‘ve got an income. Now what you need is a house. First, you discover houses are a bit thin on the ground if you live in Auckland. In fact, The Salvation Army’s report, ‘the Growing Divide has given housing availability a FAILED. The report talks of a 3,600 housing deficit in Auckland alone in the last year. At the same time, Housing New Zealand is replacing a personalised service with a phone service for people to contact private rental agencies and other social services, e.g. Work and Income. Not surprising, given last September’s announcement about ”ending all its social services and concentrating on its "core function" of managing state houses”. Quite a few people are unhappy about housing, with Bernard Hickey and Gordon Campbell both writing columns, protests about the Tamaki Transformation programme, and protests in Glen Innes. Moving south won’t necessarily solve the problem. Hamilton City Council is proposing to sell 51 units it currently owns and manages and rents to means tested elderly people to try and make up for budget shortfalls. Karen Morrison-Hume, Hamilton Council of Christian Social Services, is “calling on the people who have financial investments to consider also making social investments in housing for the sake of our most vulnerable." Further south again, there are frustrated attempts to set up emergency housing for young people in Nelson. The NZCCSS Future Wellbeing Conference will be held at the University of Auckland on 18-19 April and address questions such as: “How do we maintain our commitments to responding to need in our communities, help whānau become stronger and New Zealand be a just and compassionate society? Should we be responding differently? How do we ensure our services are effective and sustainable?” The conference is aimed at CEOs, managers, senior staff and board members of community based (NGO) social services from across New Zealand. An optional day ‘Auckland Futures: Co-creating Auckland Social Futures’ will be held on 20 April 2012 providing an opportunity to talk directly with key influencers and policy makers to ensure their emerging social policies are fit for purpose in creating positive futures for all Aucklanders. What about our older persons? NZCCSS invites you to join us at our biennial conference on current issues in delivering quality services to older people. It will be held at the stunning waterfront conference centre Te Raukura Whare Waka o Poneke Thursday 28th and Friday 29th March in Wellington. ‘Moving Forward Together’ is the vision that inspires us in preparation for the conference. Whether you are involved with home & community support, aged residential care or housing for older people, our conference has something to offer more. First, helping whānau be stronger, safer, and more resilient against hard times, requires working with whānau, rather than not delivering to whānau, according to participants in a Families Commission study released today. The study is a collection of interviews and stories gathered from whānau in two distinct locations; ahi kaa Tūhoe whānau, and urban taura here whānau located in south Auckland. 1. The historical and current health, education, and welfare profiles of Maori children. This would take account of the transmission of life circumstances between generations, and how this impacts on Maori children. 2. The extent of public investment in Maori children across the health, education, social services, and justice sectors—and whether this investment is adequate and equitable. 3. How public investment in the health, education, social services, and justice can be used to ensure the well-being of Maori children. 4. The social determinants necessary for healthy growth and development for Maori children. 5. The significance of whānau for strengthening Maori children. 6. Policy and legislative pathways to address the findings of this inquiry. For starters, there are high rates of infectious disease. ‘Infectious’ means we can all, rich or poor, catch it. The study, by Michael Baker and others found infectious diseases made the largest contribution to hospital admissions of any cause, There were clear ethnic and social inequalities which have increased substantially in the past 20 years, particularly for Māori and Pacific peoples in the most deprived group. The findings ‘reinforce the need to reduce ethnic and social inequalities, and to address differences in things like income levels, housing conditions, and access to health services.’ The Child Poverty Action Group explains more here. Then there’s the OECD 2011 Education at a Glance graph showing differences in reading performance according to socio economic background is particularly marked in New Zealand and France. But the solutions are in our hands: “On Friday as I was preparing for this hui, reaction was coming in thick and fast to the latest report, the State of the Nation assessment produced by the Salvation Army entitled The Growing Divide. It was a consistently depressing read. …. In all, New Zealanders spent just over two billion dollars on gambling in the last financial year. … two billion dollars that might have been better invested in supporting poor neighbourhoods to cope with the challenge of a post-recession economy. Two billion dollars that might have kept our children warm, well fed, and in secure housing. The solutions seem so simple – they lie in our own hands. Where: Academy Cinema, 44 Lorne St Auckland (under the Central Library).